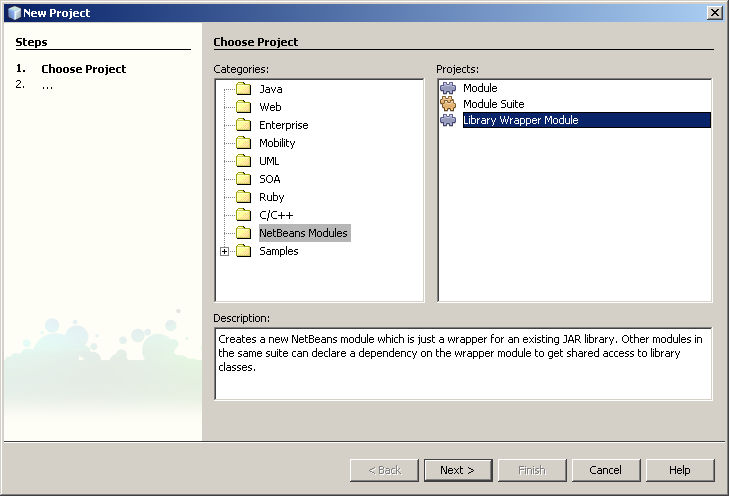 I’m new in NetBeans and today I’ve been struggling a couple of hours with the simple task of attaching the source code for an external JAR (NetBean Library Wrapper Module). I’ve been trying to find in google how to do it without success until I reached this post in the netbeans-users mailing list. Then I realized that I should been looking into the NetBeans Help first. The entry at Help -> Help contents -> Java Applications -> Debugging Applications -> Attaching Source Code to a JAR File explains how to do it. 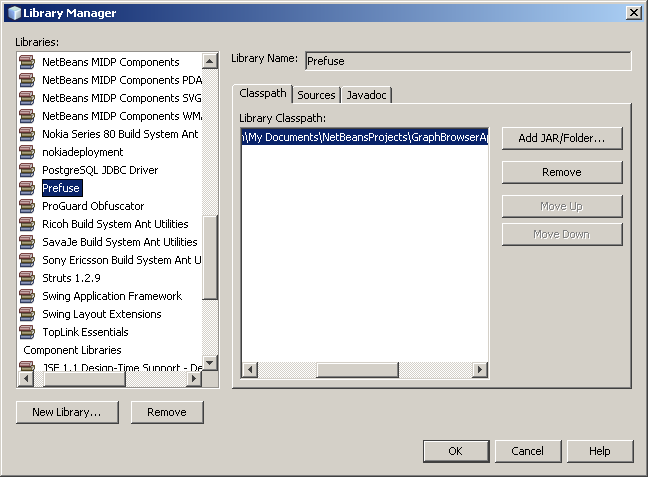 Then you should add the library’s source folder in the Source tab of the Library in the Library Manager (you can point to the Javadoc as well). NOTE: If you plan to attached the sources to the jar because you would like to stepping into the library’s code while debugging, or set a breakpoint in the jar, then you should make sure that the sources are marked for debugging. What?!? Yes, I know. This sounds weird but you have to do it. Start the debugging session in Netbeans open the Sources window (WindowDebugging>Sources) and locate the sources folder in the table, check the box “Use for debugging”.